If you thought unicorns were imaginary, think again. 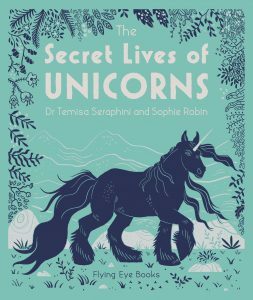 Anatomy, evolution, life cycle, magical properties: prepare to learn just how much you didn’t know about these fantastic, magical equines. A full encyclopedia of all things unicorns–an upgrade for fans of My Little Pony and fun for kids who love magic. Meet species from the fjords of the north to the unforgiving deserts of the equator as you discover the wonders of this enchanting creature from past to present.